HIphop Citoyen contacted me to create two videos teaser and 20 animated Gifs to promote a national hiphop festival. 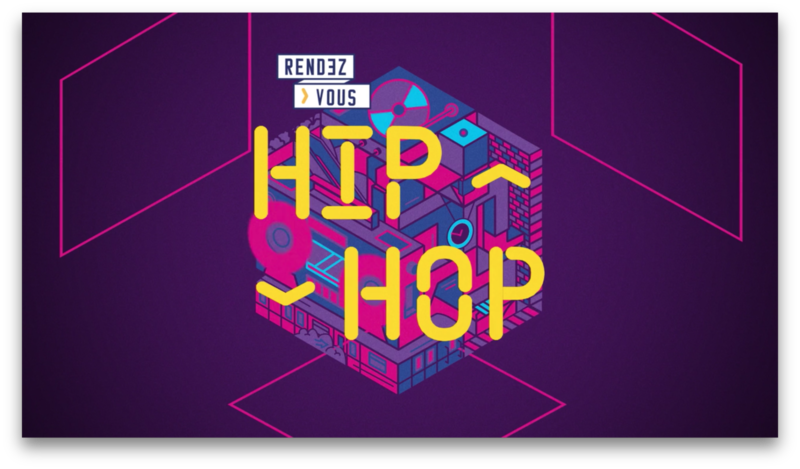 The festival is named Rendez-vous Hiphop and take place in five major city all around France.One major issue was to create and keep an homogenous art direction between all assets. Videos and Gifs had to work independently but also keep the same art direction. The only one provided element was the festival logo, so I choosed to play with the shape. It could be an hexagone or also a 3D cube, it depend how we look at it. Also for the gifs I worked with a talented drawing artist called Nooga ! He helped me on ten of them.